The Mediant 500L Multi-Service Business Router (MSBR) is an all-in-one SOHO/SMB router combining access, data, voice and security in a single device. 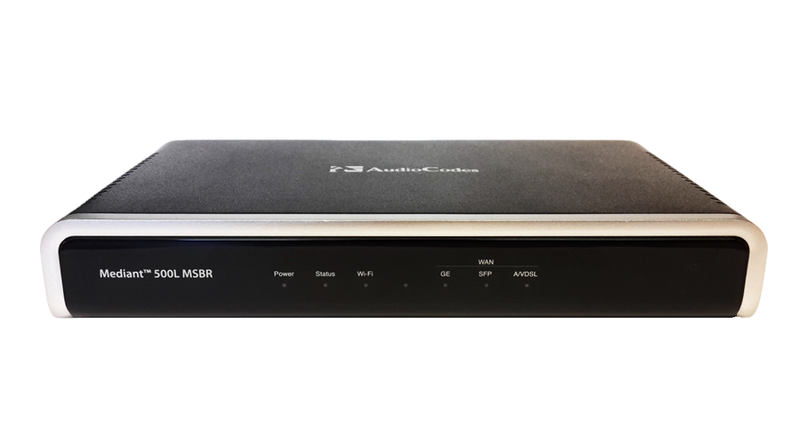 As part of AudioCodes’ family of Multi-Service Business Routers the Mediant 500L MSBR is perfectly suited for managed data, SIP trunking, hosted PBX and cloud-based services, and allows services providers to deploy flexible and cost-effective solutions. This is an ideal solution for SOHOs and SMBs supporting up to 3 multiple WAN interfaces, 4 LAN interfaces, 802.11n Wi-Fi, 120KPP, up to 60 SBC sessions and up to 8 voice channels.